Hope everyone is feeling fine this morning and for once it isn't raining! The sun is shining and the sky is blue. For once we shan't be dark at noon. Yesterday a Christmas lunch in Cardiff in a Victorian University Hall. A most abstemious affair and institutional food - though not bad as institutional fare goes. Conversation seemed to revolve around AA Milne and Edward Lear and their poems. My ears though let me down and I found it hard to make out the woman sitting opposite - who's voice was quite soft - and was reduced to guessing what she had said and otherwise looking a bit of an idiot (even more of an idiot than usual). By the end of the meal my blood pressure was way up and I was quite stressed. I have the same feeling in the French class and I am wondering whether making the brain work extra hard - peering (or possibly eering) to try and make words and meaning from a jumble of sound - actually has the physical effect of raising blood pressure. I can't keep on like this so may have to telephone to the audiologist for an appointment. With in the ear headphones my hearing is transformed and I can hear really well at volumes I hardly detect without the headphones. But of course while I can plug into the computer I cannot plug into people (or even the television though I could if I had earphones with the right leads and sockets). But I wonder whether this might be what good hearing aids are like? Anyway this lot now seem to want me to do a tour of Cowbridge for them and another for Ewenny Priory next summer. So much easier talking than listening. Anyway have a good day everyone and listen to the birds, telephone, doorbell etc for me. Morning Fennie, thank you for posting. Apologies to all I have not been around much lately, tackling the stress mode last few days and it always seems even more so with the lead up to festivities. I would make an appointment with your audiologist Fennie, the teeny hearing aids seem to be all the rage at the moment I read the other day. Light rains here and a gentle wind but the sun is trying to peep through the clouds. Hoping to pop to see our daughter later today, need to buy some John Innes soil from the garden centre on the way for my olive trees. I still don't know whether the small standard trees should be out in this weather especially when they originate from a warmer climate. Have a good day Fennie and everyone. Fennie get thee to the audiologist and once you get the hearing aids, wear them ALL THE TIME! Sorry to shout but I had to make sure you heard me! It will be better for your family as well as for you! Camilla, so sorry about the stress levels. I knew about them from a Facebook entry! Take care. Matron has spoken Fennie and you know she's right! Camilla, ED bought me an olive tree in a pot a few years ago. I planted it in the garden when it outgrew the pot. It has flourished far better there than in the pot. Our soil is full of limestone but otherwise is fairly normal. And being in all weathers the tree stays out in all weathers, wind, rain, sun etc. So I wouldn't worry. 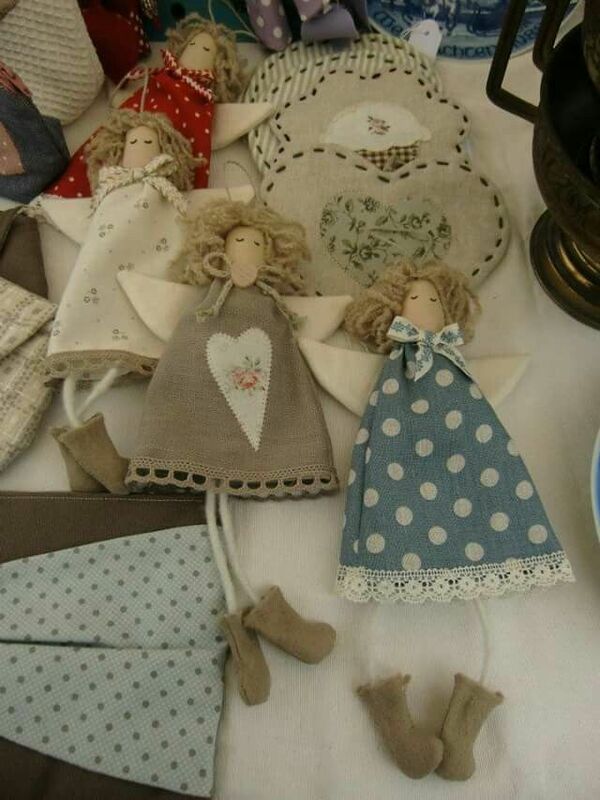 We had someone on Coo once called Pipany who was a crafter and made dolls and angels and so like that. She lived in Cornwall if I remember rightly. I seem to remember I sent her a cutting of my flowering currant bush for some reason. Yes Pipany lives in Cornwall Fennie I remember she makes such lovely things, think she has her own label too and sells on the website also. I have covered all of my trees in bubble wrap now since last night good that I did I think as we had a frost early this morning also it will save the ceramic terracotta from cracking in the pots. They are eventually to be moved to the front of the cottage Fennie either side of the door next Spring.